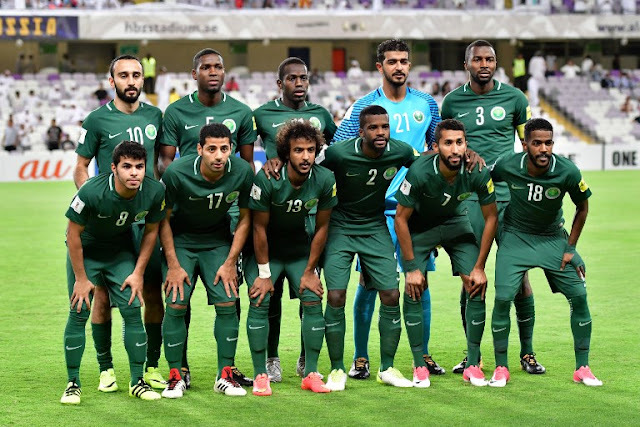 Saudi Arabia have qualified for World Cups in several occasions but absent in 2010 and 2014 was notable which had fans desperate to see them in 2018 World Cup. A team Led by Bert Van Marwijk. Though being fortunate combined with luck along the way, but a victory on the last day over Japan who has already secured qualification did the trick and put the Green Falcons above Australia on goal difference. Qualification was followed by chaos and uncetainties, as head coach Van Marwijk was replaced by Edgardo Bauza but left himself. Leaving the country with no other option than to appoint, former Chile coach Juan Antonio Pizzi. In Group A, Saudi Arabia are drawn along with the hosts nation Russia, Uruguay, and Egypt, lead by Mohamed Salah who might not be 100% fit due to injury at UCL final. Saudi Arabia will kick off the tournament against the hosts Russia on the 14th of June in the tournament opener. Then with matches against Uruguay on the 20th and Egypt on the 25th for their final group game. Nawaf Al Abed was of great composure throughout the final stage I describe him as a catalyst in the team, and he scores as well as creates. When given the opportunity, Fahad Al Muwallad is alsoexciting to watch. DEFENDERS: Mansoor Al Harbi (Al Ahli),Mohammed Al Breik (Al Hilal), Yasser Al Shahrani (Al Hilal), Motaz Hawsawi (Al Ahli), Ali Al Bulaihi (Al Hilal), Osama Hawsawi (Al Hilal), Omar Hawsawi (Al Nassr). FORWARDS: Al Sahlawi Mohammad (Al Nassr), Muhannad Assiri (Al Ahli).